Smalltown Supersound will be issuing a limited edition 12″ from ARP in order to celebrate Record Store day on April 16th. The American based producer recently returned from a couple of dates with Caribou and has now hired the services of the cult balearic duo Studio and Etienne Jaumet (Zombie Zombie) for his up and coming 12″. You can listen to Studio’s groove laden rework here. 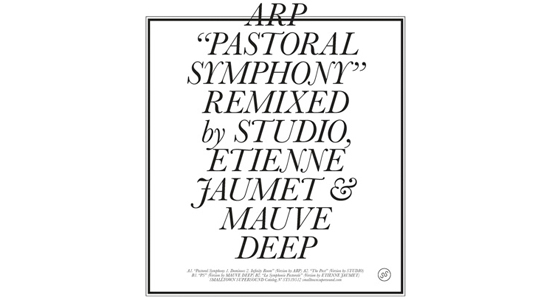 ARP is also working on his follow up LP as we speak and a number of new remixes. The 12″ is a remix of his single “Pastoral Symphony” off the back of his recently titled album release The Soft Wave. There will be a limited edition of 500 and there will be no represss. For more info on Record Store day go here. Check back Robot Buttiken to get yourself a copy.